Unwelcomed Guests: Dealing with raccoons, squirrels, bats, or other unwelcomed critters in the home is not an uncommon emergency amongst homeowners. While it is not the most serious disaster that can occur, these small animals can cause big damage. When dealing with small wild animals, it is important to first isolate the animal from other rooms in your home by closing all doors. It is also important to remember that the animal is trying to find its way out of your home, so simply opening a door or a window that leads outside can solve the problem. It is of the upmost importance that one takes precautionary steps when trying to remove an animal as bats, raccoons, and squirrels can carry rabies. Call an animal control professional for help if you are having trouble removing the creature on your own. Kitchen Fire: When a kitchen or grease fire occurs in your home it is most important to keep calm and not panic. Grease fires can be put out quickly if done correctly by first turning the burner off and covering the pot/pan with a metal lid. Pouring baking soda on the flames will also help to extinguish the fire as well. Do NOT try to put out the flames using water as it will only cause the oil to splash and the fire to spread. If your oven catches fire, the first step to turn it off and keep the door shut allowing the fire to suffocate. Having and knowing how to use a fire extinguisher in the home along with working smoke detectors is also important to include in your fire safety plan. It is of course, imperative that the fire department is called if the fire becomes out of your control. Power Outage: Power outages are something that every homeowner should be prepared for. Whether a nasty thunderstorm or fallen power line has killed your power, having items such as loaded flashlights with good batteries, lighters and candles, and a first aid kit on hand can help you and your family deal. Taking precautionary steps such as unplugging electronics can also help to prevent damage to personal items as well. Another important element to remember when your power is out is to keep the fridge and freezer doors closed as much as possible. According to the Red Cross an unopened refrigerator can keep foods cold and from spoiling for several hours. Bad Weather/Natural Disasters: Depending on where a person lives, natural disasters such as earthquakes, tornadoes, floods, hurricanes, blizzards, and thunderstorms can put your home and family at risk. It is crucial as a homeowner to be prepared and to know how to protect yourself from such disasters. Having family emergency plans and evacuation plans for all types of situations that can occur near your home is important in the preparation process. Assembling an emergency kit filled with supplies is also an effective step to take in order to be fully prepared. Another way for you and your family to be on the alert of any severe weather warnings is to opt into receiving text message alerts from the national weather service. 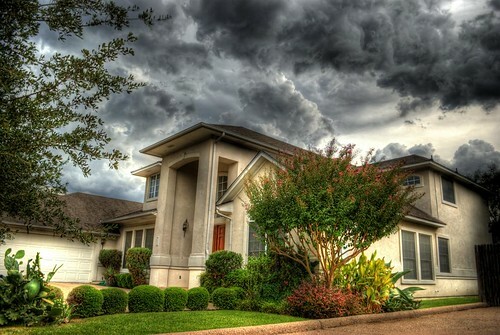 Regardless of what the emergency may be, knowing how to protect your home, and more importantly you and your family is a vital part of being a homeowner. So remember that before tragedy strikes, you can prepare, make a plan, and stay informed.